Which of the following would you rather do: listen to music, sample some of the world’s best port wines or enjoy a leisurely cruise? 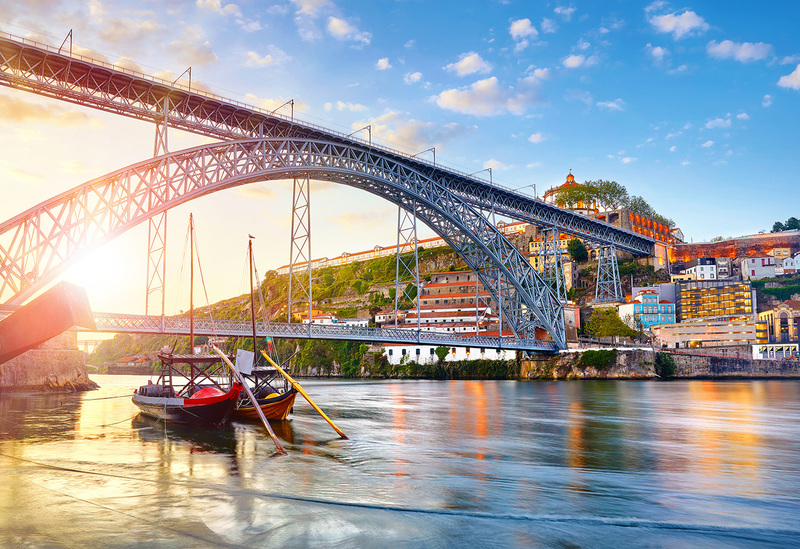 Well, here’s some good news, on Saga Holidays’ ‘Gilbert & Sullivan on the Douro’ river cruise you don’t have to choose at all – you can do them all! Our 7-night Portuguese adventure began with a short flight from London to Porto and an included seamless transfer to the Douro Queen river cruise ship – chartered by Saga Holidays. The popularity of river cruising has boomed in the past five years and this increased interest has led to river cruise lines offering more unique itineraries to capture the public’s attention. Saga Holidays’ answer has been to create a range of special interest musical river cruises – often focused on classical music favourites. 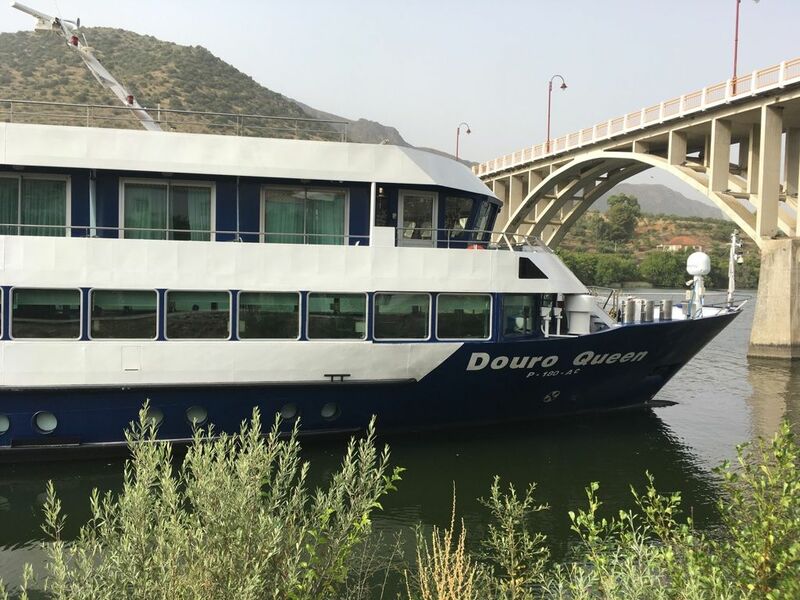 As we cruised the scenic Douro Valley, past the terraced vineyards, we were entertained with two lectures and five concerts about the life and music of Gilbert & Sullivan, all professionally delivered by onboard performers Leon Berger and Carol Anne Wells. They were both superb. Baritone Leon Berger, rightly praised for his work with the Gilbert & Sullivan Repertoire, has guested with the Royal Opera House, English National Opera and many touring companies over his career, singing over 100 operatic roles. Pianist and singer, Carol Anne Wells, has an interest in both classical and popular music and is well-known as one of Britain’s first ‘crossover’ artists. She has performed worldwide, on TV and radio and at many concert venues, including the Royal Albert Hall. Our entertainers shared the traditions of this influential 19th century musical double act with great authority and fun. We heard how W.S. Gilbert, the librettist, wrote the witty often ‘topsy-turvy’ words and composer, Arthur Sullivan, wrote the music for their wonderful and influential operettas, initially brought to the stage in 1881 by producer and impresario Richard D’Oyly Carte. Sitting in the ship’s lounge, cruising down the Douro drink in hand, we heard songs from Gilbert & Sullivan’s first joint venture Thespis and, of course, from all their major well-known shows including Trial by Jury, The Sorcerer, H.M.S. Pinafore, The Pirates of Penzance, Patience, Iolanthe, Princess Ida and many others. We also heard about George Grossmith, the lead performer in most of Gilbert & Sullivan’s big shows and a real superstar of his generation. The final concert looked at the influence of Gilbert & Sullivan on other performers, such as the works of Tom Lehrer and Flanders & Swann. Both performers were always happy to chat with guests and share their personal knowledge and enthusiasm. When we weren’t enjoying the music, we were out and about discovering some of the beautiful and fascinating highlights that lie along the river Douro and beyond. 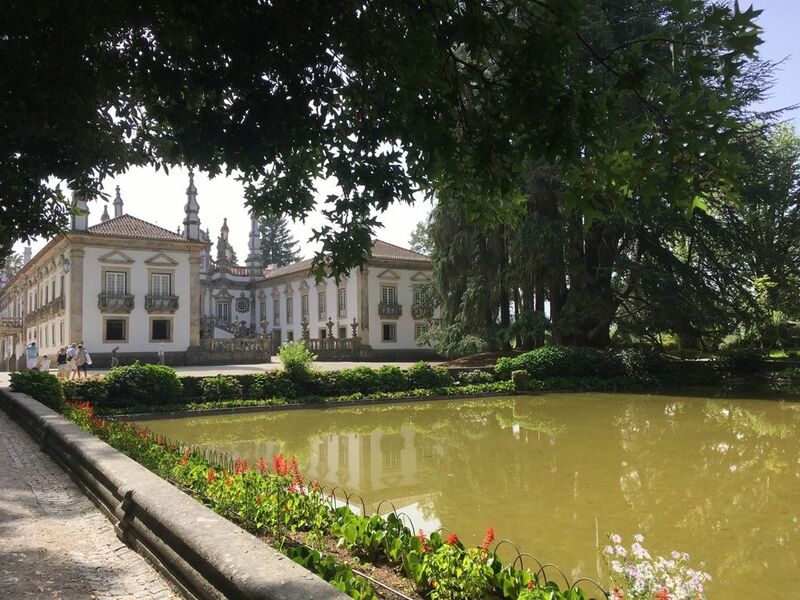 We paid a visit to the Portuguese city of Lamego to see the elaborate Shrine of Our Lady Of Remedies, which is set atop nine steep terraces overlooking the town. There was free time to explore this impressive baroque church and the more adventurous amongst us even had the opportunity to walk down into the city using the ornate staircase. No mean feat in a record heatwave of 46 degrees – especially as there are around 700 steps. Thankfully we didn’t have to walk up them! 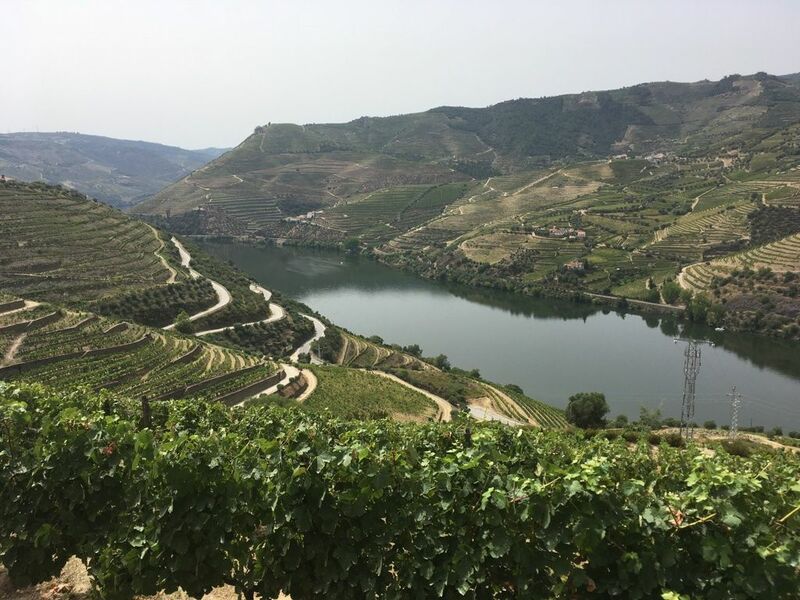 Next up was a ‘white knuckle’ coach ride up a mountain, with sheer drops and hairpin bends, until we finally arrived in one piece at the Sandeman Port Winery at Quinta do Seixo. We enjoyed a tour of the estate, followed by an opportunity to taste two of their port wines. It was definitely needed to give us courage to face the coach journey down! The highlight for many came with a visit to the Spanish city of Salamanca. With its ornate sandstone architecture, this city across the Spanish border is a UNESCO World Heritage Site, famed for its old university buildings of golden-coloured stone and its famous cathedral, built in two parts. Our river cruise journey began and ended in Porto, Portugal’s second largest city. Here we visited another port wine manufacturer for the obligatory tasting and had the opportunity of a panoramic coach tour which, despite the horrendous traffic, still managed to get us to the Cathedral and famous Porto train station before the ship departed. Overall cruise verdict? Well, the music was first class, the scenery magnificent and there was a wonderful friendly atmosphere onboard. Additionally, Saga Holidays really understand their guests’ needs and look after them very well. Ian is an international business success author and speaker, with 16 books published in 56 countries. As a ‘guru’ on ‘customer service’ and cruise expert, he contributes feature articles on river and ocean cruises, to national and regional media. Ian lives in north London with his wife and when he is not writing, or speaking, he is kept very busy by five young grandchildren.